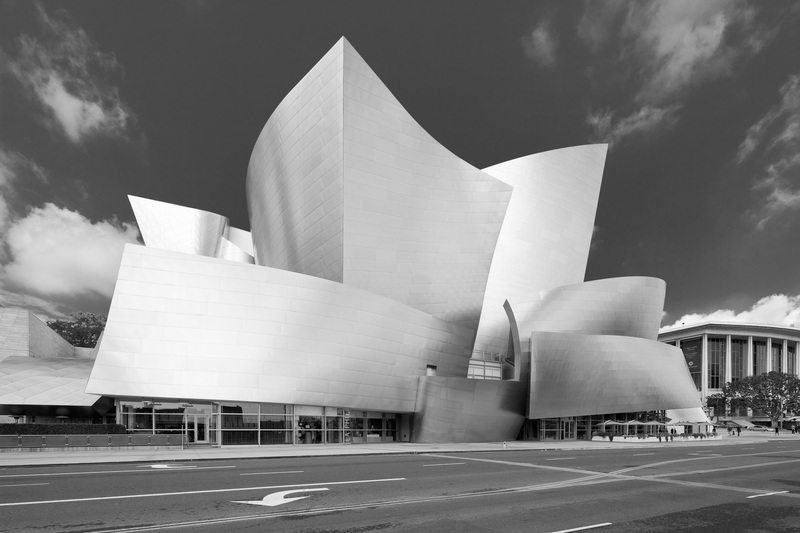 Walt Disney Concert Hall black and white architecture shot. Los Angeles, California. David Zaitz Photography.